One of Japan's leading conductors, Mr Otaka made his professional broadcasting debut in 1971 with the NHK Symphony Orchestra and for 20 years served as Permanent Conductor of the Tokyo Philharmonic Orchestra, with which he toured extensively in Asia and Europe, being made the orchestra's Conductor Laureate in 1991. In September 2012, he toured with the NHK Symphony Orchestra to China (Beijing, Shanghai and Tianjin) to commemorate 40 years of the normalization of diplomatic ties between Japan and China. 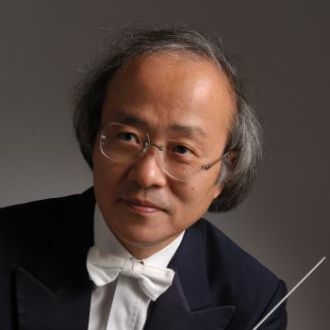 In addition, he was Chief Conductor (1981 to 1986), Music Advisor and Principal Conductor (1998 to 2004) and Music Director (2005 to 2015) of the Sapporo Symphony Orchestra, and became their Honorary Music Director in April 2015. He led their UK tour in 2001 and Korea tour in 2005 successfully. Following his tenure with the Tokyo Philharmonic, Mr Otaka was made Permanent Conductor of the Yomiuri Nippon Symphony Orchestra from l992 to 1998 (currently Honorary Guest Conductor) and his symphonic and operatic recordings with the orchestra brought much critical acclaim, as did their European tour. He also served as Principal Guest Conductor for the Melbourne Symphony Orchestra (2010 to 2012) and as Artistic Director of the Opera Division for the New National Theatre, Tokyo (2010 to 2014). He is currently Music Adviser of the Osaka Philharmonic Orchestra and will be its Music Director from April 2018. Now a popular and familiar figure on podiums throughout the world, he is particularly known in the UK, where he is invited as Guest Conductor to the London Symphony, London Philharmonic, BBC Symphony, City of Birmingham Symphony, Royal Liverpool Philharmonic, Royal Scottish National, Hallé, Bournemouth Symphony, Ulster Orchestra and English Chamber Orchestra. In 1987, Mr Otaka became Principal Conductor of the BBC National Orchestra of Wales (formerly the BBC Welsh Symphony Orchestra) and made his Prom debut with them the following year. To quote London's Sunday Times: "In his eight years with the orchestra Otaka had worked wonders in Wales." His many appearances in UK and overseas include BBC NOW tours to European countries, Russia, and the Orchestra's first-ever Japanese and North American visits. Outside the UK, he has received invitations to the Berlin Radio Symphony Orchestra, Frankfurt Radio Symphony (hr-Sinfonieorchester), Brussels Philharmonic, Rotterdam Philharmonic, Bamberg Philharmonic, Strasbourg Philharmonic, Warsaw Philharmonic, Bergen Philharmonic, Oslo Philharmonic, Netherlands Philharmonic, Hong Kong Philharmonic and others. He was recently invited to conduct the Île-de-France National Orchestra for their season opening subscription concert at the brand new hall Philharmonie de Paris in October 2016 to be hailed. In 2017, Mr Otaka and the BBC National Orchestra of Wales will hold a special concert to celebrate 30 years of collaboration. Mr Otaka is the first ever Music Adviser and Principal Conductor of the Kioi Hall Chamber Orchestra, one of Japan's finest ensembles, and after leading them on their first overseas tour of Europe in 2000, became their Honorary Conductor Laureate in September 2003. In the field of opera production, he has received high acclaim for his direction of Britten's Peter Grimes with Sapporo Symphony Orchestra in September 2008. Other productions of his include Beethoven's Fidelio, J.Strauss II's Die Fledermaus, Puccini's La Tosca, Wagner's Tannhaeuser with Tokyo Nikikai Opera Foundation; Bizet's Carmen, Weber's Der Freischuetz with Kansai Nikikai Opera Foundation; R.Strauss's Salome with Wales National Opera; and Britten's Peter Grimes with Yomiuri Nippon Symphony Orchestra. Mr Otaka's wide-ranging activities include premieres of works by such distinguished composers as Teizo Matsumura, Toru Takemitsu and Akira Miyoshi, many much-praised recordings with BBC NOW by Nimbus, BIS, Chandos and Camerata Tokyo, and his dedication to nurturing future talent led to involvement with the National Youth Orchestra of Britain and the Britten-Pears Orchestra of which he was Director for three years.